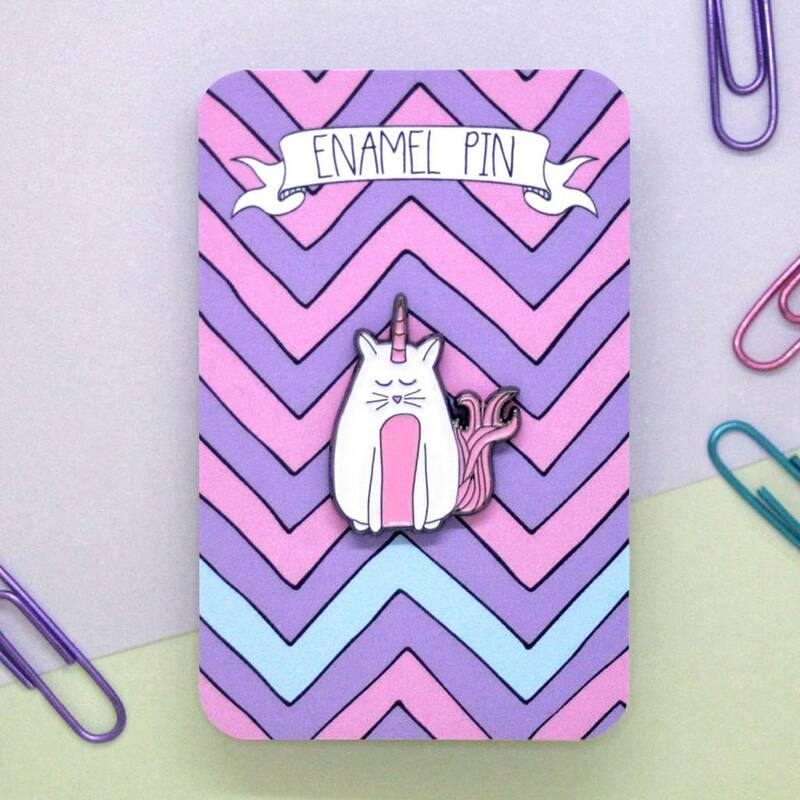 A quirky pin badge featuring a cat unicorn. 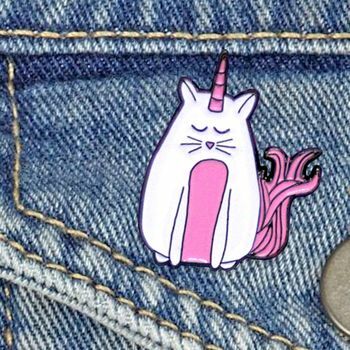 Show your love for unicorn with our cat unicorn enamel pin. Add some magic to your lapel with this beautiful creature. This enamel pin would make an ideal quirky gift for the unicorn lover in your life. This enamel pin has been designed by Neon Magpie and made in the UK. It has been made from the highest quality enamel, this three colour pin is detailed with black nickel metal, and will fit perfectly on your collar. Our enamel pins arrive packaged on a backing board. This product is dispatched to you by Neon Magpie.